I perform about 150 weddings every year, many of them for visitors and I normally wouldn't spend a lot of time with each couple. 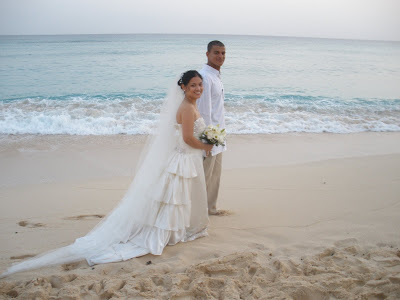 This young couple from West Bay was different, because I got to know them so by the time I did their wedding today I was really looking forward to it. 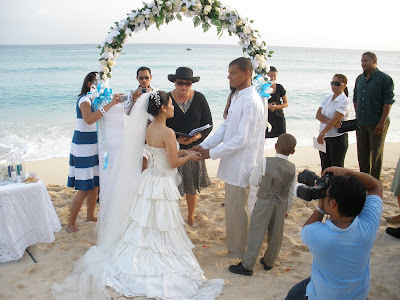 The groom travelled to the Phillipines to ask his bride's father for her hand in marriage. 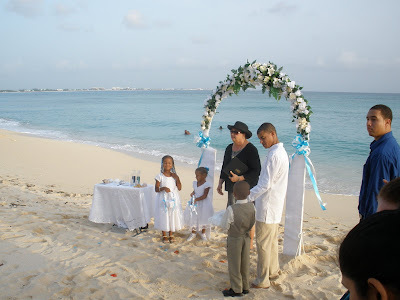 This is the traditional Caymanian way to pay respect to the bride and her family. When I was married, a long time ago, my fiance wrote a letter to my father to ask his consent. My son-in-law, just a few years ago also formally asked my husband for his daughter's hand in marriage. 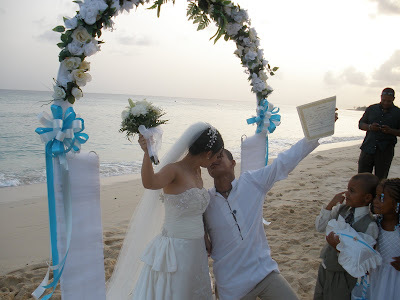 In these modern times I think it is still admirable to maintain cultural traditions when it comes to marriage. 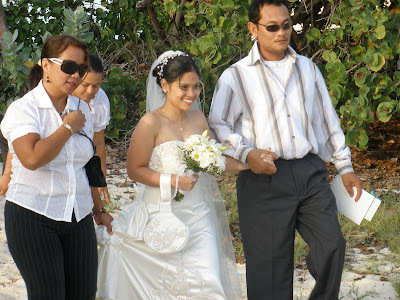 The Filipino tradition is for the bride to be accompanied by sponsors who stand in for her parents. 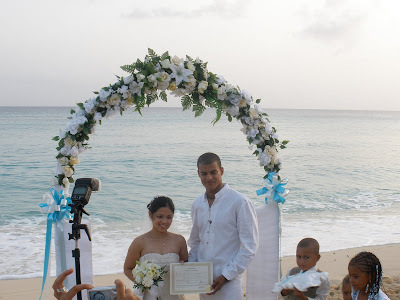 Both bride and groom had been involved in every aspect of their wedding ceremony, from choosing a special reading to writing their own vows, and this made the ceremony even more meaningful. 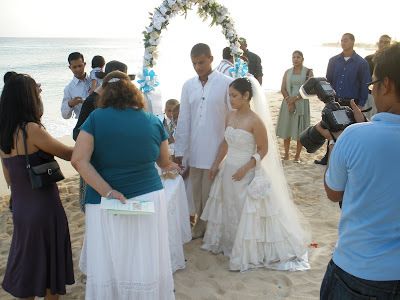 They chose to have a Unity Sand ceremony, with the mothers pouring the foundation of their Memory Vase. Since the bride's mother could not be present, a friend stood in for her and poured on her behalf. The groom is so tall compared to his bride he got on his knees for the traditional "first kiss". 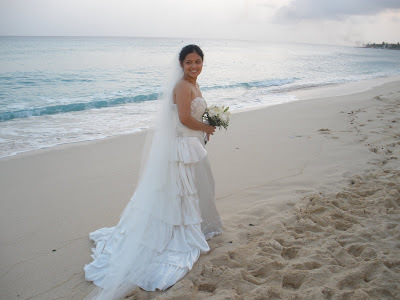 This beautiful dress was designed in the Phillipines by the bride's uncle and she did him proud in it. official photographer by Bernardo Neri (these photos with my Olympus FE370) Video by Apex. Reception followed at Champion House restaurant.